Before I delve into the product attributes of the Hyundai i20 Active, let me tell you that I've always had my reservations about the hatchback-based crossover examples that we've seen entering the market quite aggressively over the last couple of years. It doesn't really make a great amount of sense to me, and even the market reality in terms of sales has reflected exactly that. Toyota India has been suffering with its Etios Liva hatchback in the market and the numbers have been abysmal, so the introduction of Etios Cross did bring in some joy to the company as quite a few have been shifted from the showrooms into driveways of a number of homes. And that's the only company, so far, to have done well (relatively speaking, of course) with such a product. Yet, the absolute numbers aren't exactly great and the combined volume of the hatchback-crossover segment isn't even a shadow of the numbers premium hatchback segment is managing. Hyundai is one company, barring Maruti, of course, that has understood the Indian automotive market extremely well and if there's even a slight bit of space in between segments, trust Hyundai to go aggressive and try to fill the gap with some or the other product. That's exactly what it has done with the i20 Active. 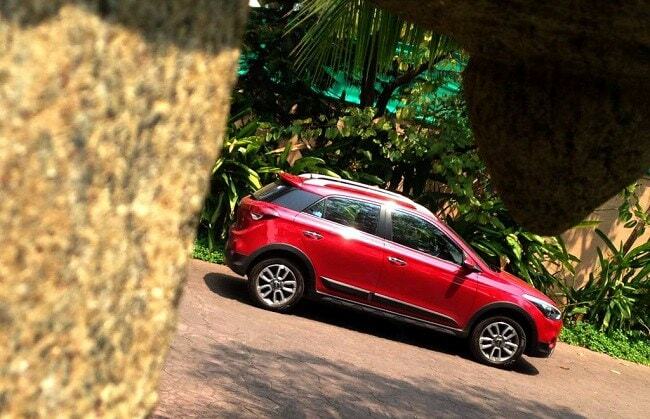 The company sensed an opportunity in the hatch-crossover segment and, after observing the competition for a while, decided to make its move - interestingly, quite a bit sooner than Maruti to try and take a chunk of the volumes while it can. Once Maruti arrives with its S-Cross (or whatever else they'll call it), it'll be a straight dog-fight between Hyundai and Maruti. Now, we didn't really get an awful lot of time with the i20 Active crossover, but the first impressions were a mixed bag, really. During the product briefing, we were repeatedly told that the positioning of the i20 Active is such that the car would appeal to the younger generation and to those who live an 'Active' lifestyle (hence the nomenclature, I suppose). A gent from Hyundai's product planning department explained it well - "If, say, my father were to invest in an impressive hatchback, he'd ideally go for the i20, while a young and rising corporate executive would go for something like the i20 Active." Anyway, I better come to the product itself. The i20 Active is differentiated from its 'regular' hatch sibling by means of a lot of grey plastic cladding, skid-plate that looks a bit too try-hard, and odd fitments here-and-there. I especially don't like the treatment of the auxiliary lamps - the plastic housing looks particularly low-rent. Other than such stuff, the car isn't any different in design from the regular i20 hatch, but in some functional features it stands a bit tall. The i20 Active gets daytime running LEDs and even cornering lights, which is a cool thing. 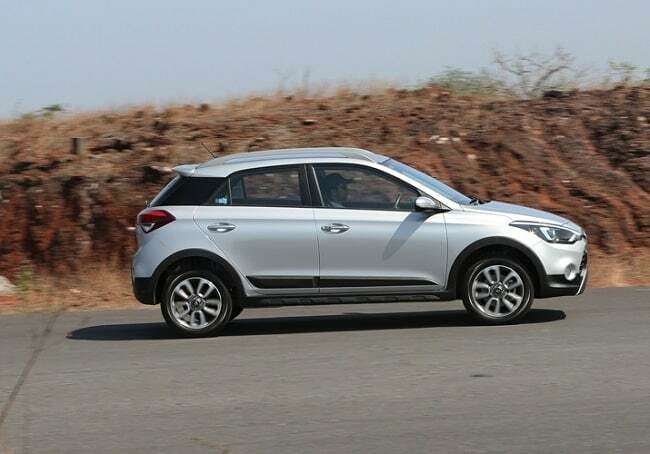 At the rear, too, it's the usual try-hard affair, and though Hyundai has managed to make the i20 Active look slightly virile, the problem is, the base design (of the donor car, i20) is elegant and graceful, and forcing it to look rugged doesn't work that beautifully. It's like asking Reese Witherspoon to play Black Widow - it somehow doesn't go that well. Still, the i20 Active looks quite better than a couple of other cross-hatchbacks, yet, the Fiat Avventura aces it when it comes to sheer raw and masculine appeal, I think. Mechanically, Hyundai has altered the ride height of the car and raised it by 20mm over the i20 to give it a ground clearance figure of 190mm. Now, that's not entirely bad, but I'd have liked to see it go at par with the Fiat Avventura. Trouble is, even with 16-inch wheels, the gap to the wheel arch is properly noticeable and makes the i20 Active look under-tyred. The suspension setup at the rear is where most of the action has happened. The damper's fluid viscosity has been enhanced and the number of active coils has also gone up, giving it the added height benefit and, theoretically at least, also better spring load capacity. The front, however, is largely unchanged in geometry, and only basic height increasing measures have been employed. 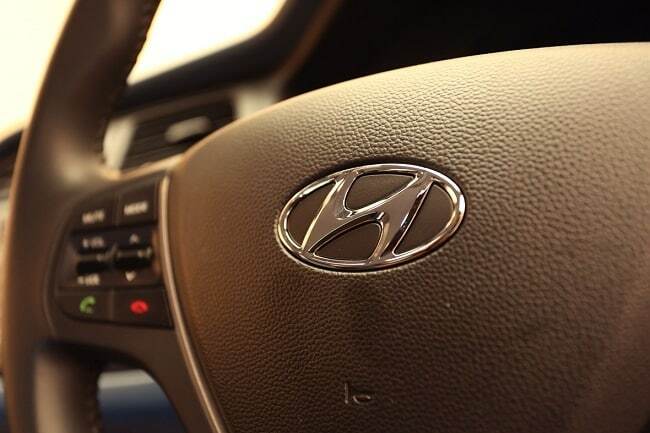 Hyundai also claims that the final gear ratio has been revised for both the petrol and diesel engines to aid better lugging capacity and acceleration. During the drive though, it didn't really seem to make much of a difference. The car still behaves and responds pretty much like the i20 - the power delivery in the petrol model is slow but linear, and the diesel wakes up once you go past 1800rpm; so, it's chiefly down to when the turbo kicks in. I spent most of the time with the diesel model and tried driving like one would in regular city conditions - the progress being relatively sedate that is. Now, at 30Km/h in 3rd gear, with the rev needle ticking around 1000rpm, no matter how much agony you show on your face, the car would take its own time to gain pace. It's a similar story at 15-20Km/h in 2nd gear and at 40Km/h in 4th. The mid-range of the diesel is impressive and from 2000rpm till about 4000rpm, the movement is rapid and it genuinely makes for a good companion. After the 4000 mark, the power delivery plateaus out. The gear ratios are largely the same as that of the i20's - save for the final gear ratio changing by 6% and 11% in petrol and diesel models respectively - so the overall driving impression of the i20 Active is quite similar to the regular i20 hatch. It does roll a slight bit more into the corners and though the initial turn-in is crisp and relatively instant, it does suffer from mid-corner understeer and you need to dial in more steering than you'd ideally have liked. I couldn't really gauge its high-speed behaviour because we never really entered the zone of smile-inducing speeds of over 120Km/h owing to the traffic conditions. The steering is a great tool of convenience at low speeds because it's extremely light. It, however, is also quite dead in giving any sort of feedback - so, that's a bummer for enthusiasts or to those who enjoy highway driving. The car rides well at moderate speeds, but get it moving at a good pace and it starts to exhibit some bounce over undulating surfaces. The handling balance is good though. What is the i20 Active all about then? It's an i20 in jungle shorts. No, it's not - that'd be silly. 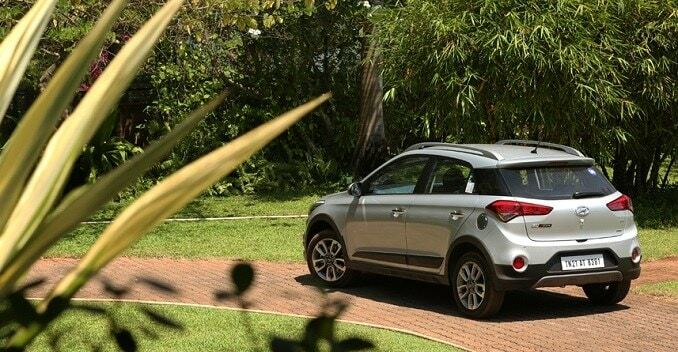 It's the i20 for people who live an "Active" lifestyle. Well, not exactly - because, and if I'm guessing even remotely correctly, those chaps would want some 'real' excitement from the car they'd buy. So, the i20 Active is a demonstration of what's possible with the regular car. 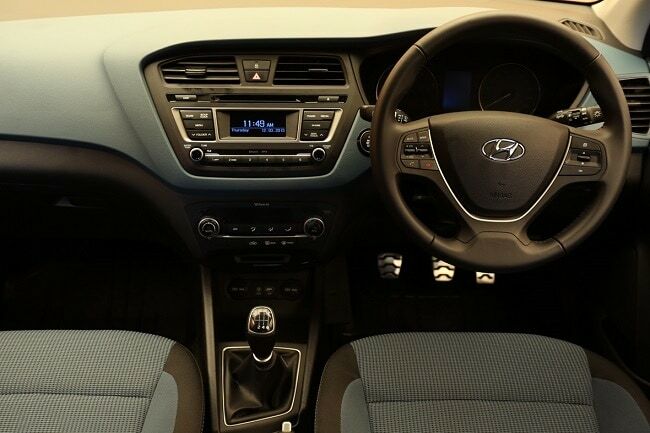 It gets features that could, of course, get introduced in the i20 when it is time for a facelift. Oh, speaking of features - the arm-rest that you get on the front seat foul with the elbow while shifting gears. And while I'm complaining, I think the blue treatment in the cabin looks really foul and the tangerine - well, that looks relatively digestible but if you buy the i20 Active in red, the orange interior bits will clash in all the wrong ways! Yeah - so it's an effort at doing a glorified, high-riding i20. What I'd have liked to see instead is a glorified i20 with skirts and splitters, and 50 more horsepower with a revised steering geometry. What is it they say about wishes and horses and whatnot!